Over 22 beautiful rolling acres set in the heart of horse country. 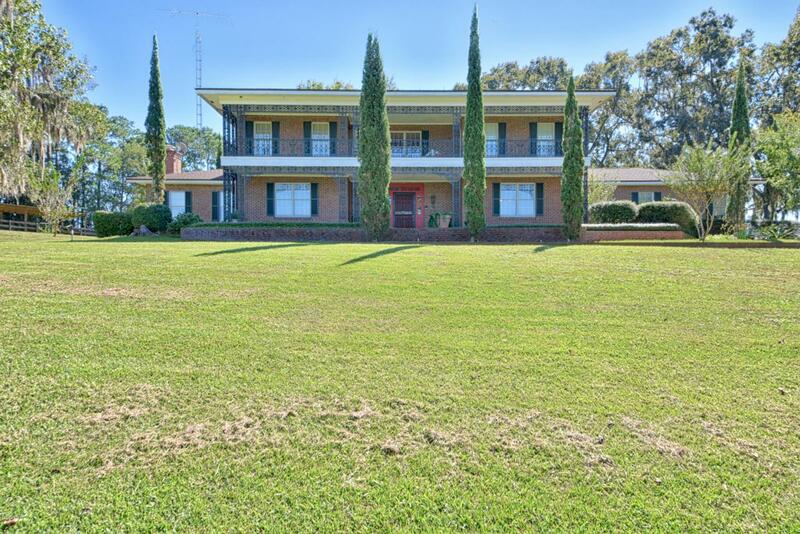 This majestic brick home sits on a hill and boasts four bedrooms and five bathrooms. Including a mother in law suite with an en suite bathroom with separate entrance. The kitchen features granite countertops and a butler's pantry. The brick courtyard features a small koi pond.Immaculately maintained farm! The barn has 9 stalls and is ready for your horses. There is an inclosed riding arena and 6 fully fenced paddocks. ** New AC and Water Heater**Conveniently located near both I-75 and HWY 441. Four minute drive to Ocala Jockey Club.Nine minutes to eventing show facility Majestic Oaks.25 Minutes to both Ocala and Gainesville.Too many details to list! You must see this truly one of a kind farm!